In my own interest I tried to collect information on Norwegian railway museums via the internet. As far as I could figure out there is no site listing these museums in on place. I want to share them with in case you might need it. 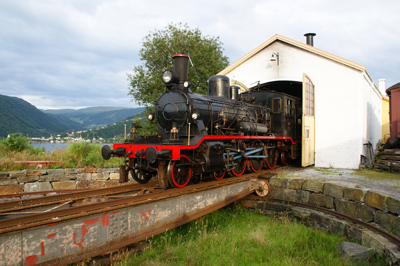 You know a site related to a Norwegian Railway museum that is not mentioned here? Let me know!! Not really a museum, but a very interesting railway in a stunning area. 20km of excursions on one from the world's steepest standard gauge railways.